After decades of failed water privatisation, cities like Paris are starting to bring water back into public hands. 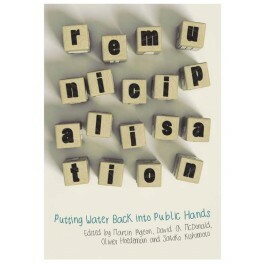 This is a 'must-read' book for policy makers and activists looking to democratise water services. Cities worldwide are experiencing the failures of water privatisation. Unequal access, broken promises, environmental hazards and scandalous profit margins are prompting municipalities to take back control of this essential service. 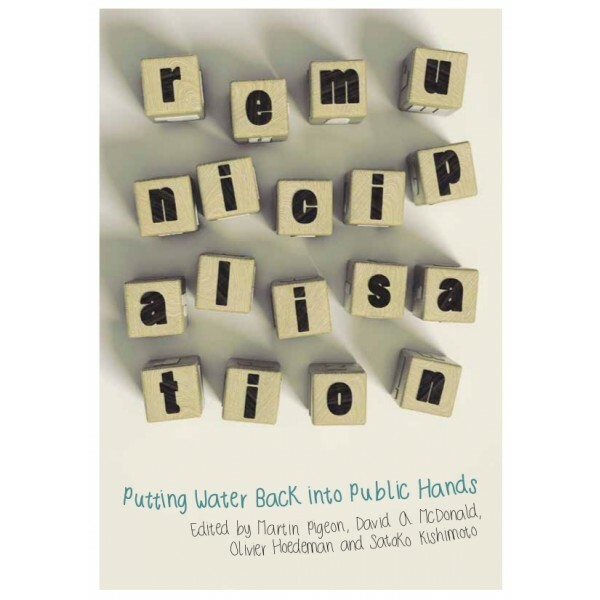 Water ‘remunicipalisation’ is a new, exciting trend that this book explores at length. Case studies analyse the transition from private to public water provision in Paris, Dar es Salaam, Buenos Aires and Hamilton, as well as look at a nationallevel experiment in Malaysia. The journey toward better public water illustrates the benefits and challenges of municipal ownership, while at the same time underlining the stranglehold of international financial institutions and the legacies of corporate control. The book situates these developments within larger debates about ‘alternatives to privatisation’ and draws lessons from these experiences for future action in favour of public services. It is a must-read for policy makers and activists looking for concrete ways to democratise water services. "Cities have been remunicipalising water for years, but finally we have a book that gives us a global perspective on this trend. It offers rich evidence of how public service providers outperform private water companies while at the same time pointing to the challenges that managers, policy makers and activists face in making water public again." Maude Barlow, Chairperson of the Council of Canadians. The book is also available as a free download on www.tni.org (in English, Spanish and Italian) and as a paperback in Spanish.